Compliance, security and mobile innovations require proper auditing of IT systems. Knowing facts such as who changed what and when and where each change took place will save hours of troubleshooting, satisfy compliance requirements, and help secure your IT environment. 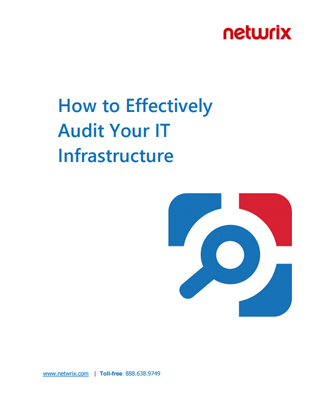 This white paper presents a methodical approach to IT auditing, from asset inventory and assessment to choosing and implementing an effective IT auditing solution.